The Sons Of Liberty - Don’t Get Rid of the Guns - Get Rid of the Criminal Politicians! Home - The Dean-Don’t Get Rid of the Guns - Get Rid of the Criminal Politicians! Don’t Get Rid of the Guns - Get Rid of the Criminal Politicians! Hillary Clinton calling law abiding gun owners “terrorists” comes to the surface once again. During a 2014 townhall meeting, she went on to lie in an attempt to belittle, polarize and isolate gun owners by saying that gun owners are a minority in this country (Proverbs 19:5). I wonder if she was in defenseless and plundered Europe when she made that idiotic untrue comment. According to the Geneva-based Small Arms Survey – the leading source of international public information about firearms – the U.S. has the best-armed civilian population in the world, with an estimated 270 million total guns. That’s an average of 89 firearms for every 100 residents. America, these “terrorists” (Terrorism was originally defined in the Oxford English Dictionary as “Government by intimidation”) attack the gun owners, who would obstruct their way from violating constitutional law. That is why the real terrorists, like Hillary Clinton, are attacking law-abiding citizens. Why do Americans put up with this? Americans have been taught to “praise the wicked” because they have forsaken the Law. Furthermore, Americans have been taught to magnify the crimes instead of magnifying the laws against the criminals (Proverbs 28:4). Let me give you a parable (1 Corinthians 2:14). “Did you hear about the AK-47 that was used recently to kill 50 people? 50 people were slaughtered this week with the use of an AK-47… I said, 50 people were killed with an AK-47. Did you know that the AK-47 was originated In the Soviet Union? Did you know that the designer of the AK-47 was Machail Kulascunoph? And designed in 1946 to 1948? Russians Grigori Loutchansky, linked by Interpol to the Russian mafia, money laundering, drug trafficking, nuclear smuggling across the Baltics, and international arms trading, attended a Democrat Party White House dinner in October of 1993. Loutchansky got a private two-minute meeting and a picture with Mr. Clinton. (The Washington Times, 2/11/97; The Detroit News, 2/16/97; New York Post, 11/1/96; Time, 7/8/96) Loutchansky was invited back to a second DNC dinner in July 1995. A year before, Canada had blocked Loutchansky from entering Canada because he had failed a background check. Canadian officials also had questions about the source of Loutchansky's Nordex company's assets. (The Washington Times, 3/1/97) Both of Clinton's CIA Directors James Woolsey and John Deutch described Loutchansky's Nordex company as an "organization associated with Russian criminal activity." “But did you hear about the AK-47 that was used to kill 50 people friends? 50 people were slaughtered this week with the use of an AK-47? I said, 50 people were killed with an AK-47 this week. The AK-47 was manufactured by Ismash and various other including Norenco and produced in 1949 to 1959. The number of AK-47’s built, 75 million to 100 million. Chinese Yah Lin "Charlie" Trie, President Clinton's longtime friend and a Democratic fund-raiser, was at the center of the 1996 campaign finance controversy and eventually plead guilty to two charges in his Arkansas trial (May 21, 1999). Trie pled guilty to a felony charge of causing false statements and a misdemeanor count of making political contributions in the names of others. It was Charlie Trie who arranged for international Chinese weapons dealer, Wang Jun, chairman of CITIC, the chief investment arm of the PRC, and Poly Technologies (a "front company for the PRC military") to meet with Mr. Clinton at a Democrat Party event at the White House on Feb. 6, 1996. CITIC Ka Wah Bank includes 28 branches in Hong Kong, a branch in Macau, a branch in Shanghai and its PRC-incorporated wholly-owned subsidiary, CITIC Ka Wah Bank (China) Limited, which is headquartered in Shenzhen with branches in Shanghai and Beijing. The Bank also has branches in New York and Los Angeles. At the time Clinton met with Wang, the Bureau of Alcohol, Tobacco and Firearms and the Customs Service were wrapping up an investigation which caught Wang's company smuggling at least $4 million worth of 2,000 illegal AK-47 assault weapons destined for gang members in California. President Clinton later admitted Wang's attendance at the White House was "clearly inappropriate." 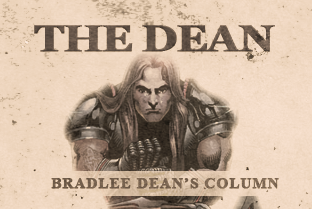 Some might be asking the question, “Bradlee, what is your point?” Well, the point is obvious. Deal with those who are pulling the trigger, namely the politician “terrorists” who are committing the crimes (Romans 3:20). Our resolve must be to impeach, indict then to incarcerate (Article 2, Sections 4; Article 3; Section 3 of the United States Constitution).